Save Money with an in-house Instructor, OR make extra money teaching on appointment. 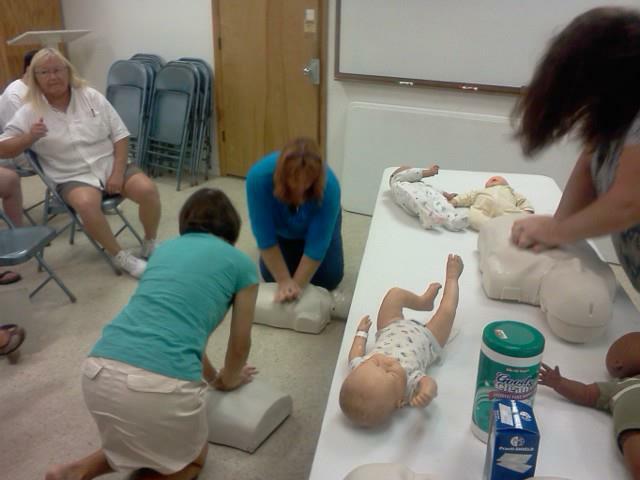 Becoming a CPR, Safety Instructor can be a money saving, or money earning strategy. If you have high staff turn-over, or you place staff in various locations (for example: security companies, in-home health care), having an in-house instructor may be a money saving. This reduces the add-on cost of the profit margin built in for using contracted trainers. we will get even more mileage from a Google or Yelp Review. If an elementary kid can effectively perform CPR after my training, it is solid indication, you will too! Current Special Offer: 1 CPR faceshield included with all groups 5+ participants. Subject to change without notice. Cash and company checks accepted. Pay with credit/debit payment option is available. If you pay before the class, please bring your receipt. Group size discount 15+ negotiable ** Group discount is the combined total participants even if the group is broken in smaller training sessions but scheduled over a 1 week period.